The last of my featured Nikko series. 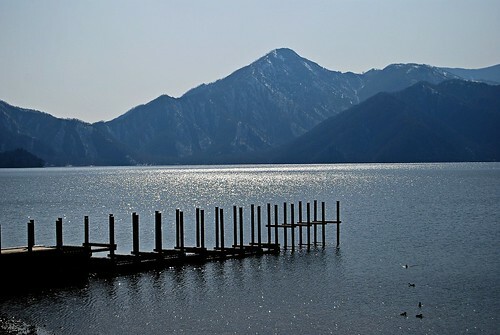 Lake Chuzenji is a scenic lake in Nikkō National Park in the city of Nikkō, Tochigi Prefecture, Japan. The lake has a surface area of 11.62 km² and a circumference of 25 km. Its elevation at the surface is 1,269 m, and the water reaches a depth of 163 m. Water drains through the Kegon Falls. We came here at around 2-3pm, right after viewing Kegon Falls. Light coming from the sun was harsh for our photography. Too bad the boat cruise wasn't available during that time. For some more pics on our Nikko Temples and Nature tour, visit my set at flickr.